Beverly Hills, Calif. • For the first time in the 34-year history of the Television Critics Association Awards, a Utahn has been honored. Well, the trophy for Best Reality Show went to Netflix’s “Queer Eye,” and Salt Laker Tan France is one of the stars of that show. France — the son of Pakistani immigrants who grew up in London — immigrated to the United States. And he’s lived in Utah’s capital city for nearly a decade. 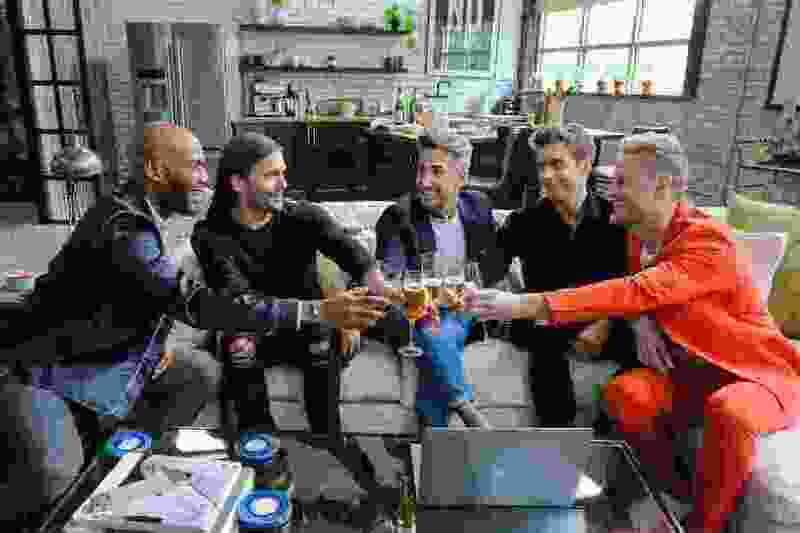 France and the other members of the Fab Five — Bobby Berk, Karamo Brown, Antoni Porowski and Jonathan Van Ness — were unable to attend the ceremonies at the Beverly Hilton Hotel because they’re in production on Season 3 of “Queer Eye.” Which might have made the evening run more smoothly, according to executive producer Rob Eric. 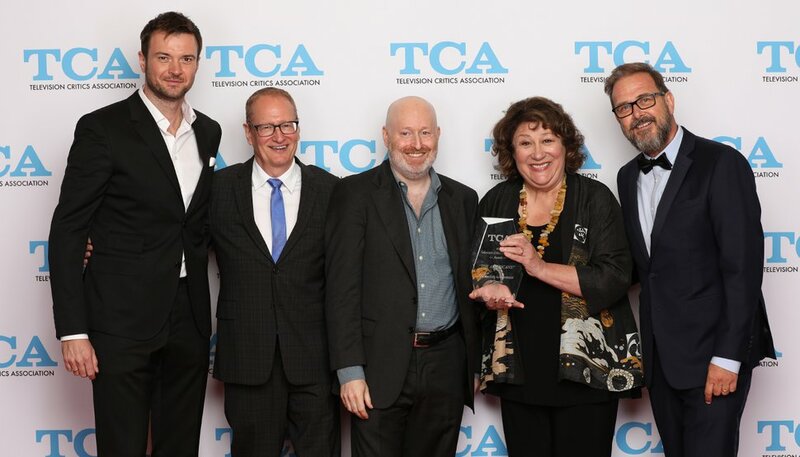 (Photo courtesy of the Television Critics Association) Costa Ronin, executive producer Stephen Schiff, executive producer Joe Weisberg, Margo Martindale and executive producer Chris Long of "The Americans." The big winner at the 2018 TCA Awards was “The Americans,” which wrapped up a six-season run on FX in May. The series about a pair of Soviet spies posing as an American couple and operating in the United States at the height of the Cold War was named best drama and program of the year — and series star Keri Russell won the award for Outstanding Individual Achievement in Drama. “I'm pretty sure the ideal audience for 'The Americans' was you guys,” executive producer Joe Weisberg told the critics. “This is the award that really means something to us. 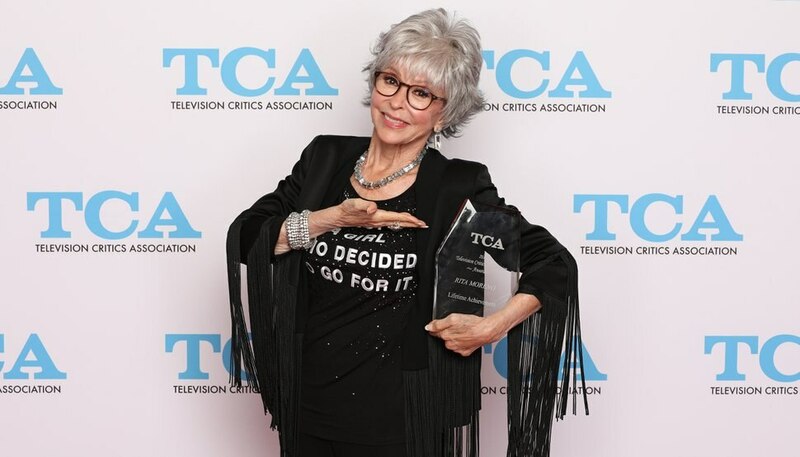 (Photo courtesy of the Television Critics Association) Rita Moreno received the lifetime achievement award from the TCA. “How much recognition does a person need, and what value should be placed on an honor like this?” Moreno said, recalling that — in answer to a question about the possibility she'd be nominated for an Emmy this year — she said it was less important than family, health, friendship and faith. Until she wasn't nominated. In addition to the three awards for “The Americans,” FX took home a fourth when “The Assassination of Gianni Versace: American Crime Story” was named Outstanding Miniseries or Movie. Cable series dominated the evening. BBC America's “Killing Eve,” a drama about two women — a psychopathic assassin and the a drama about a psychopathic assassin and the MI5 agents hunting her, who become obsessed with each other, won best new series. “From the bottom of my heart, I just really, really hope that, at the end of the day, this show inspires young girls and women everywhere to be more murderous,” joked executive producer Sally Woodward. CNN’s “Anthony Bourdain: Parts Unknown” was honored for Outstanding Achievement in News and Information two months after Bourdain’s death. HBO won two honors: “Sesame Street” won the award for Outstanding Achievement in Youth Programming, and “Last Week Tonight With John Oliver” won the TCA Award in a new category — Outstanding Achievement in Sketch/Variety Shows.In addition to the “Queer Eye” win, a second streaming service series was honored when Rachel Brosnahan, the star of Amazon Prime’s “The Marvelous Mrs. Maisel,” won for individual achievement in comedy. NBC represented for the broadcast networks — its sitcom “The Good Place” was named Best Comedy. And the TCA’s Heritage Award — which is sort of a career achievement award for a series — went to “Friends” for its enduring cultural significance, 14 years after it ended its 10-season run on NBC. 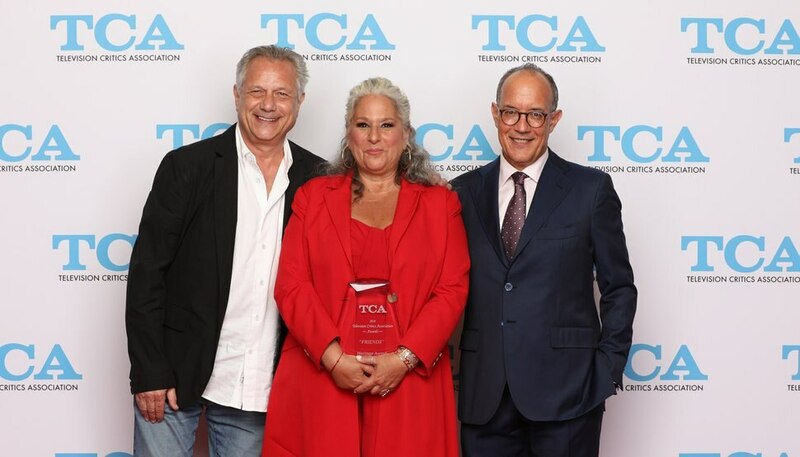 (Photo courtesy of the Television Critics Association) "Friends" executive producers Kevin Bright, Marta Kauffman and David Crane. “God bless Netflix,” said executive producer Kevin Bright. The nominees and winners were voted on by members of the TCA — more than 200 journalism professionals from across the United States and Canada. Individual Achievement in Drama: Keri Russell (“The Americans,” FX). Individual Achievement in Comedy: Rachel Brosnahan (“The Marvelous Mrs. Maisel,” Amazon Prime). Outstanding Achievement in News and Information • “Anthony Bourdain: Parts Unknown" (CNN). Outstanding Achievement in Reality Programming • “Queer Eye” (Netflix). Outstanding Achievement in Youth Programming: “Sesame Street” (HBO). Outstanding Achievement in Sketch/Variety Shows: “Last Week Tonight With John Oliver” (HBO). Outstanding New Program • “Killing Eve” (BBC America). Outstanding Achievement in Movies And Miniseries • “The Assassination of Gianni Versace: American Crime Story” (FX). Outstanding Achievement in Drama • “The Americans” (FX). Outstanding Achievement in Comedy • “The Good Place” (NBC). Program of the Year • “The Americans” (FX). Lifetime Achievement • Rita Moreno. Heritage Award • “Friends” (NBC).